Stations of the Cross begins at 5:30pm in the Chapel. The Knights of Columbus sponsor a Fish Fry on February 16 and 23; March 2, 9, 16 and 23, from 6-7 PM in the school cafeteria. 5:30 PM to 6:45 PM dinners are sponsored by the Knights of Columbus on Fridays during Lent with the exception of Good Friday (which isn’t technically Lent). Stations of the Cross begins at 7:00 PM. Adoration is held immediately following the Stations of the Cross. $8 for Adults, $3 for Children, no family pays more than $25. LENTEN FISH DINNERS are sponsored by the Knights of Columbus on Fridays during Lent. Everyone is invited to the Parish Fish Fry Dinners from 5 -6:45 PM in the PLC, followed by Stations of the Cross in the Church. STATIONS OF THE CROSS in the church at 7pm, following the Fish Fry. Fish Fry Every Friday during Lent. 5:30-7:30 PM, in the Cafeteria. Immediately following the Stations, usually 5 – 6:30 PM on Friday, the Knights of Columbus Sponsor Dinner in Marian Hall. $8.00 for adults; Children $5; max $30 per family. 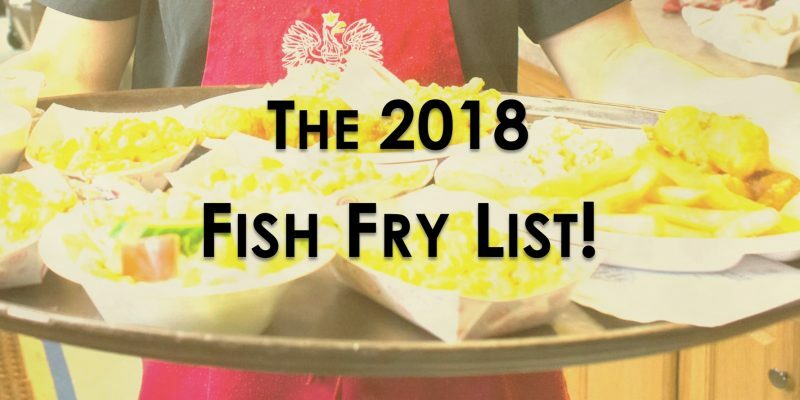 The first of three Knights of Columbus Fish fries will be February 23, March 9, Mar 23 from 5-7 PM. Adults $9, children under 6 Free. Children ages 6-12, $5. Family of 5 or more $40.00. The Knights of Columbus host a Fish Fry every Friday during Lent from 5 – 7PM. Stations of the Cross start at 7 PM. The St. Louis Men’s Club will hold Lenten fish fries on Friday, February 23, March 2, and March 23, at 5:30 PM in the Dining Hall. Adult catfish plate is $10; child’s catfish plate is $5; cheese pizza is $5. Desserts and cold beverages will be served. Cheese pizza will be available for children. Different ministries sponsor “Soup and Salad” meals for fellowship after the Stations of the Cross each Friday of Lent. Stations begin at 6:30 with the meal to follow at 7 PM. Occasionally, one of the groups may sponsor a fish fry, instead of soup and salad, but it is not every week. Fish dinners are served Fridays in Lent, 3 – 6:30 PM in the Outreach Center. The OLPH Men’s Club sponsors a weekly Lenten Fish Fry March 3, March 10, March 17, March 24, March 31 they begin serving at 5:00 – 8:00 PM. All-You-Can-Eat (Fish) Meal with all the trimmings! Fish prepared by Corky’s-Collierville on-site & served up hot! All-You-Can-Eat Pizza Meal With Fries is also available. Wine, Beer, and Soft Drinks are available.